: Planning permission, Health & Safety, Building Regulations etc. We have 25 years experience in the design, manufacture and construction of farm buildings and firmly believe the agricultural industry requires properly thought out and constructed buildings as much, if not more so, than any other business sector. 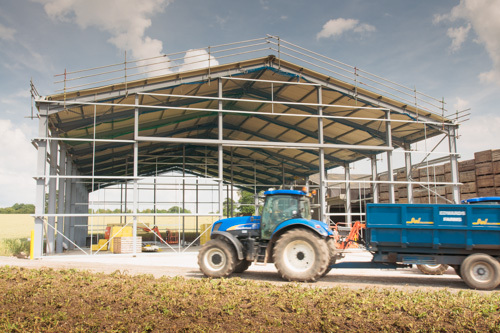 The correct design and specification of an agricultural building, ensuring appropriate ventilation and efficient handling, can make or break a farming enterprise. While we are committed to delivering a design to YOUR specification, not our own convenience, we have the experience to assist with the development of crop stores, dairy and beef housing, equestrian riding arenas, barn stabling and many other undertakings. 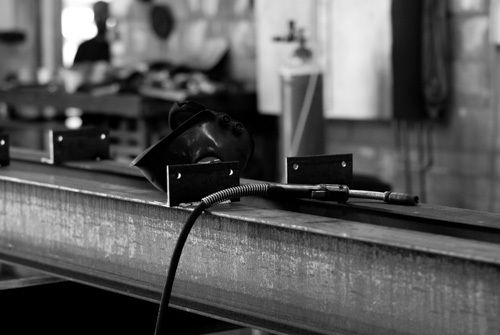 Design and fabrication is entirely carried out in house in a modern workshop environment. In addition to bespoke design and build for large and small scale enterprises, we have a range of standard buildings offering exceptional value for money. Please call us to discuss your project - we can help with excellent industry knowledge and rapid pricing so you can establish viability at an early stage. Contact Paul Richmond 07445 242361 7am - 7 pm: if I am unable to answer your call then any messages will be returned within the hour. We are trying to make this web site genuinely useful with how-to guides, practical tips and information. It is very much a work in progress and we will be adding content as often as we can. Please let us have your comments on usability and helpfulness.